In less than one week, the crème de la crème of classic yachting will gather in Cannes to celebrate the 40th edition of the Régates Royales – Trophée Panerai, where the best crews and the most gorgeous boats will reunite on the French Riviera again, as they have been doing since 1978. 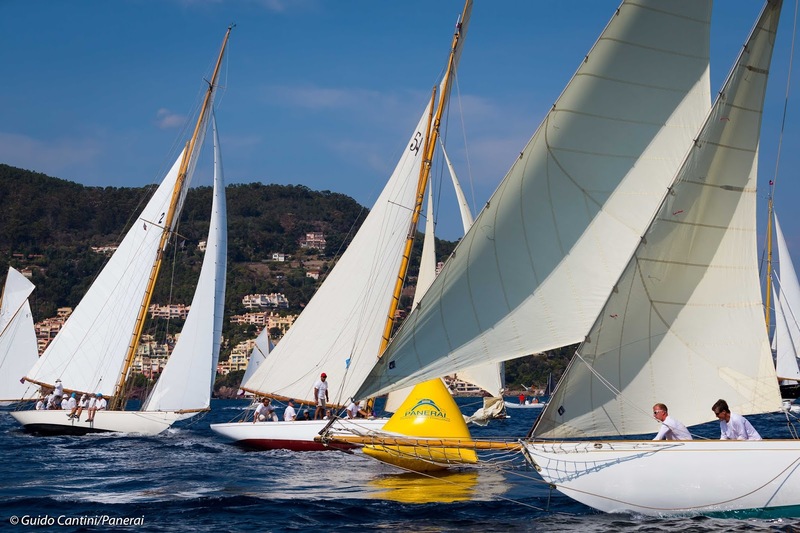 From the 22 to the 29 September, the Bay of Cannes will be welcoming once more the world’s top classic boats for a week of sport, elegance and attractions. “It’s the last event of the season, after the Cannes Yachting Festival, the one that cannot be missed. The Régates Royales will gather in the blue waters of the Bay of Lérins the top classic yachts, metre class boats, Dragons, 5.5 and Tofinou.” Explains Gérard Pascalini, manager of the Régates Royales Cannes. From September 22 to 29, no less than 200 yachts will be mustering in the port of Cannes to celebrate the event’s 40th anniversary. Several classes, almost thirty different nationalities, hundreds of sailors all sharing the same passion that makes them come back regularly to the stunning Mediterranean backdrop of the Bay of Cannes. From Dragons to sporty Toufinous, from majestic huge schooners to yawls, ketchs, gaff cuttters, slender Marconi sloops and fast international metre boats from the last century will convene to the French Riviera. Since the first inaugural edition back in 1978, the Régates Royales de Cannes muster the elite of yachting and this year will be no different with famed boats like Mariska, Rowdy, Carron II, Ganbare and Maria Giovanna II, that will try and defend their title as will do Mariette of 1915, Moonbeam IV, Moonbeam of Fife, Tuiga, Chinook, L’oiseau de feu and many more little ageless gems. The regatta stands out for the elegance and style of the participating boats and tthe event does not cease to attract owners, sailors, fans and quite a few faithful spectators. Racing just off the beach, recognizable and close to the public, these legendary yachts will once again offer an incredible show. With no less than 200 boats on the water, this anniversary edition promises to be exceptional.